A childcare management software solution with a report generation tool is necessary for planning and daily operations. EZChildTrack’s childcare management solution contains such a tool. Today we are going to do a walk-through of its capabilities and benefits to your childcare center. The report generation module allows you to develop customized reports and it provides report templates and standard business reports. The module accesses the information in the centralized database to calculate results, which it then formats into a graph, list, or another easy-to-read style. Beyond basic reports, you can build dashboards in text and graphic formats as well as statistical reports and files for export. Create reports for daily attendance, billing status, and more with the reporting module. Tracking attendance is a key activity for business planning and compliance, depending on the licensing requirements in your state. 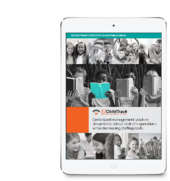 EZChildTrack allows you to manage time and attendance for children and staff. Taking attendance is quick and accurate with the fully integrated client tool, EZTimeTrack. This tool automated the process of attendance recording for each facility. Multiple options exist for gathering attendance data. Allow parents to check in and out using touchscreen or mouse-enabled computer screen. Use a barcode scanner to monitor barcoded badges quickly to record check-in and checkout. Provide a badge or smart card with a magnetic strip or other technology for parents or staff to insert into a badge reader or smart card reader for real-time recording and reporting. Generate an online interface based on a printed roster or sign-in sheet. Staff attendance relies on a unique code for each staff member. You can manage staff at the facility level or for all centers. If needed, you can associate a staff member with multiple centers. You can monitor the number of hours worked by each staff member or teacher and add staff hours if needed. All of these options streamline your attendance process and make data available for immediate reporting and decision-making. Billing reports and dashboards help you monitor client payment activity. You can batch print or email billing statements to parents with a single click. Each statement contains an itemized list of all transactions and fees for each child. Late fees are automatically added to the appropriate statement for late payment, late pick-up, or other circumstances that result in an additional charge to the parent. All billing functions are available on a single screen where you can view and manage all transactions. Along with billing statements and invoices for clients, you can print a transaction summary report for any date range. Payment reports, account receivable reports, and tax statements are also part of the reporting repertoire of the EZChildTrack reporting module. View reports of accounts receivable by monetary amount and number of days. Email invoices, statements, transaction reports, and tax statements. Create ad-hoc reports as well as those generated on a defined schedule. Export financial data to a spreadsheet or other software. Automated billing and invoicing reports and statements save staff time and improve your revenue stream by ensuring every client receives a complete bill, with nobody falling through the cracks. If you offer meals and snacks, the Meal Tracker module simplifies menu planning and monitoring food intake per child. You can generate a report showing the nutritional details of individual food items served or a list of food items and nutrient information downloaded from the USDA database. Build and schedule multiple menus then generate a report of meals and food items consumed per child. Then, you can use the report to inform your budget, supply replenishment, and future menus. View monthly meal count reports or a nutritional analysis by child. If you have families receiving meal subsidies, you can generate a report for state and federal agencies showing family eligibility for free and reduced lunch and a monthly reimbursement report. Our robust reporting tool enables you to monitor and maintain operations on a daily, weekly, monthly, quarterly, and annual basis. The simplicity of report customization and viewing builds efficiency into your programs and allows you to make business decisions based on real-time data and accurate information. Customize reports to fit your specific childcare program. The customization tool is simple to use or you can select a generic report. Draw data for reports directly from a central database without added administration or data entry work. There is no need to manually transfer data from one module to another to create a report. Automate attendance tracking, meal tracking, and financial data capture to save time and lower costs by eliminating repetitive administrative tasks and lost records. Generate reports using real-time data to make business decisions on the fly and include all data for end-of-period budgeting, scheduling, and managing. The reporting tool also makes it easy to prepare for audits, tax preparation, and expansion planning. Pull reports to help you visualize and compare any groups of data needed to inform your decisions. Your reports can include graphs, text, and customized headers and footers. Create reports for your portfolio when requesting business loans or presenting to management. Generate reports for staff and clients to track payments and payroll. Display your data in a way that makes sense to you, your partners, staff, and clients. EZChildTrack’s reporting module is integrated into our childcare management software. There is no need to transfer data to another software solution or manually manipulate it to create reports with a separate office software suite. However, the reporting module also makes it easy to transfer data and reports when needed to other applications. Reports are easily sent via email or printed in batch or individually. Regularly schedule reports and ad hoc reports are all available for you and your staff to use anytime you like. View them on screen or print them. Reporting tools help you create a record of your transactions for yourself, government agencies, and your clients.